Lanzasurf is owned and managed by Evandro Muñoz. It was originally founded in 2006 as a Surf Sports Club, the “Club Deportivo de Surf La Salta”. In 2012 it was reactivated and turned into a surf school, but kept its initial philosophy: to share our experience and our passion for surfing and make it possible for all, from beginner to advanced surfers, to enjoy exhilarating surfing moments with us. Safety and teaching quality are very important to us: our surf instructors have a wealth of experience, are qualified by national and international surfing associations and are trained lifesavers. 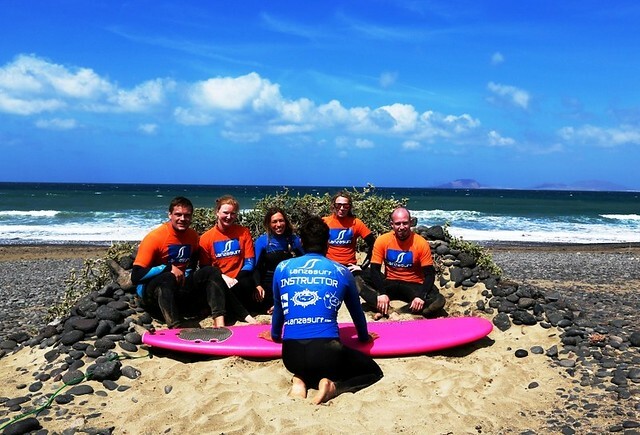 Lanzasurf is an Official Surf School of the Canary Islands Surf Association. The material we use is high-quality and adapted to each student’s level and the tuitions are provided to reduced-size groups (max. 8 students per instructor) so we can provide you tailored advice in and outside of the water. We believe surfing is all about sharing: we will put our heart into offering you an unforgettable surfing experience and making you feel comfortable and part of our family. Brazil, Hawaii, mainland Spain, Canary Islands, Portugal, France, England,California, Mexico, Panama, Nicaragua, El Salvador, Guatemala, Indonesia. Evandro started surfing at the age of 6 in his hometown of Vila Caiçara, Sao Paulo, Brazil. He has been competing since the age of 11 in regional, national and international surf contests. He is a qualified Surf and Yoga instructor and has been teaching for the last 12 years. He is also a qualified Surf Judge and has been called to work on several occasions on the Brazilian, Portuguese and Spanish circuits. 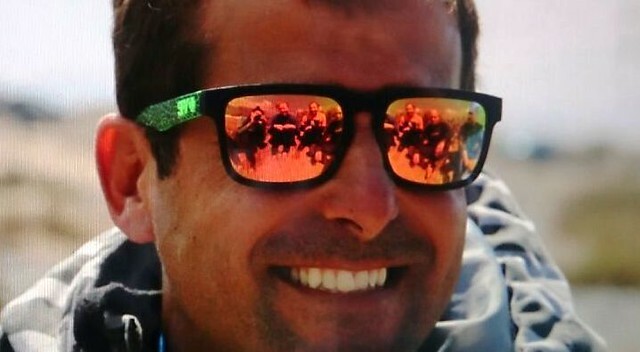 Evandro moved to the Canary Islands in 2004 and worked for a number of surf schools before setting up his own. He is Lanzasurf’s Founder and Chief Surf Instructor. 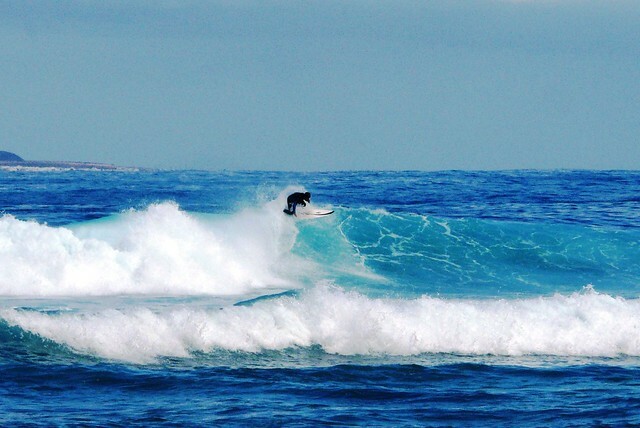 Lanzarote’s Waves and Energy help me live the Dream!! Carolina has spent more than 10 years dedicating her life to the sea, and more specifically to scuba diving, which is her greatest passion. The last 7 years she worked in the Caribbean as a diving instructor and manager. With her small family she decided to come to live in Lanzarote to start a new life, and to introduce herself into the world of Surfing. Since then, she has worked as administrator in Lanzasurf. She is the one who will answer your reservations and all your questions. The sun gives me warmth and illuminates my life and family!! I started surfing in Ireland at an age of 18 a bit late but learning to surf in Ireland you have to learn quickly, as you can imagine! In the years between then and now I have surfed and sailed (sailing is my second passion) in a few places around the world. Bringing sailing and surfing together has given me great knowledge of how the ocean can harness a humbling amount of energy. As Beach Manager and Surf Instructor I can use that knowledge and experience to pass on to all who arrive in Lanzasurf. In all the schools I have worked for over the years I settled with Lanzasurf in 2015, as it has a great ethos for this outlet of knowledge of waves, sea and passion of teaching surfing. 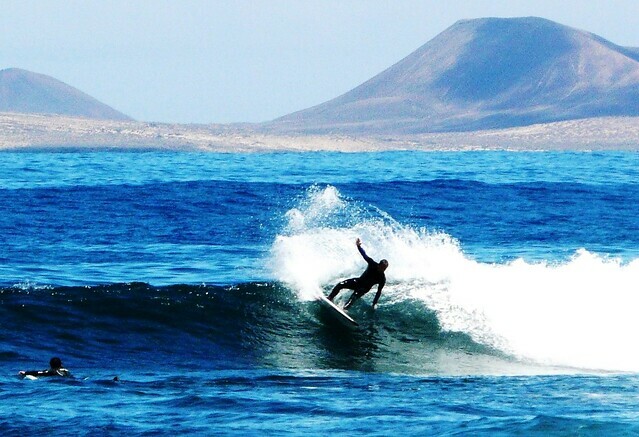 Lanzarote waves and weather are the only way to surf passion!! National Irish Surf Instructor I.S.A. RYA: Powerboat Inst Level 2, RYA: First aid, Sports for all leader awards, Health and safety. Canary Islands, Hawaï, Brazil, UK, California, Italy and Croatia. I was born in Slovenia; a country with no waves!! I started surfing late in my life, in 2006. I started in Famara and Evandro (owner of Lanzasurf) was my instructor. I became addicted to surfing and became a qualified Surf instructor in 2015. I love sharing my surf knowledge to first time surfers. In the past I was competing in swimming and white water kayaking. I love my life in board shorts and flip flops in Famara! All my life I have had loved and practiced sport. In 2006 I achieved a diploma as a personal trainer from the Italian Fitness Federation, and started my professional career started as a choreographic fitness instructor. Later I was drawn towards the philosophy of Yoga, which led me to resume studying, practicing, and eventually becoming certified as a Vinyasa and Aerial Yoga instructor, in Thailand! Since 2012 I have owned a gym in Italy, where I put into practice all the knowledge and experience I have acquired during my career. A new professional challenge brings me today to Lanzarote where, thanks to Lanzasurf, I can share my passion and my expertise with an international audience! Take care of your body and your mind! swimming pool life guard F.I.N. Chela is 13 years old. She was born and raised in the Canary Islands. Although she doesn’t surf, she enjoys playing on the beach and in the waves and she experienced a few wipe outs in her teenage years. Formerly a professional flip-flop destroyer, she has now retired but kept her honorific title as Lanzasurf’s official pet. We offer group and private surf classes and surf camps for all levels. We are located in Lanzarote, Canary Islands. Discover this magnetic place and how to get here. The place to be for numerous surfers from all over the globe living together in a laid back atmosphere. Magnetic and lunar landscape boasting over 200km of coastline and countless beaches.